If you’re not serious about SEO blogging, you could be losing a prime opportunity to compete in your vertical. Google made two significant changes to their algorithm just within the past six months, so it’s definitely time for businesses to check into their own SEO strategy and see how it’s stacking up against those changes. If it’s not stacking up at all, it might be time to rethink things and start developing a strategy. SEO blogging is an important way to build keyword leverage, but that won’t do your company any good if you don’t know what keywords you’d like to market with. To find out what keywords are best for your business, consider first putting emphasis on what customers type in to find you. If you don’t know this information, Lead Liaison offers a suite of products that can help you identify those search queries. If you know customers are typing in a certain keyword to get to you, it makes sense to try to best your competitors on those keywords until you have top positioning. You could also use tools like Google Trends (trends.google.com) and the Google Keyword Planner (attached to your Adwords account, if you have one). These tools will give you an idea of how you’re being found and can serve as a basis for your SEO blogging content. Once you’ve determined the proper keywords for your business, make sure to put them into your social media profiles as well as any content you’re writing. It’s important to make sure you get as much visibility on those keywords as possible. The number one problem many business owners have with content creation is lack of time. If you’re busy running a business, managing a sales team and looking for ways to improve your business, sitting down to write a blog of any length is going to be difficult. This is why it’s beneficial to have an SEO blogging team that can help you. You should be blogging 1-2 times a week minimum, with relevant blog topics that revolve around your chosen keywords. Keyword frequency without overstuffing, keyword placement and compelling content are important. Many business owners find this placement strategy and even the ability to create content are something they’re not good at. If you’re in this boat, why not get help from a qualified pro? Lead Liaison is happy to announce the inclusion of content writers who can help with SEO blogging of any length or topic. 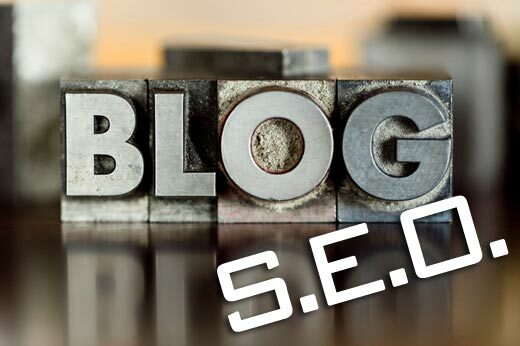 Our SEO blogging staff members are seasoned pros who can provide quick and easy content of your topical choice right in your Lead Liaison dashboard. Sound too good to be true? Take the Lead Liaison team’s content portal for a spin and save a ton of time and money hiring expensive copywriters or doing your SEO blogging yourself. https://www.leadliaison.com/wp-content/uploads/2013/04/Lead-Liaison-Logo5.png 0 0 Lead Liaison https://www.leadliaison.com/wp-content/uploads/2013/04/Lead-Liaison-Logo5.png Lead Liaison2013-10-28 06:00:302014-09-12 17:42:34How Important is SEO Blogging?